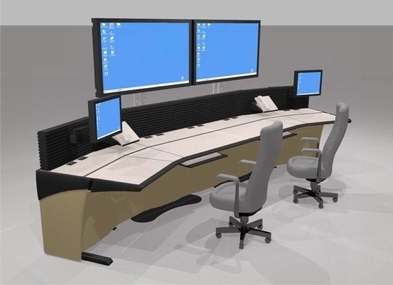 Easily integrate large screen displays to your Command Watch or Command Tech console configuration. 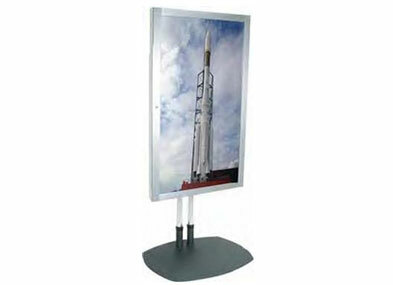 Large display mounts provide extremely stable support for displays up to 320 lbs. 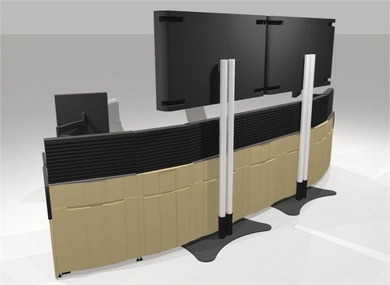 (depending on model) and offer any number of viewing configurations including back-to-back displays, multiple displays and portrait or landscape orientations. These dual-pole mounts have black tubes to which can mount to the front, rear or top of our Slatwall Cube. They are also available in floor and wall mount options. The dual-pole design supports the display at its center of gravity for exceptional support. 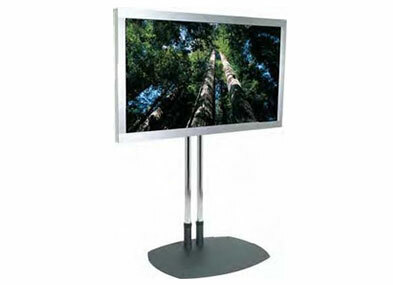 It may be mounted anywhere along the vertical poles to achieve the perfect viewing height. The poles also serve as a conduit for cabling.